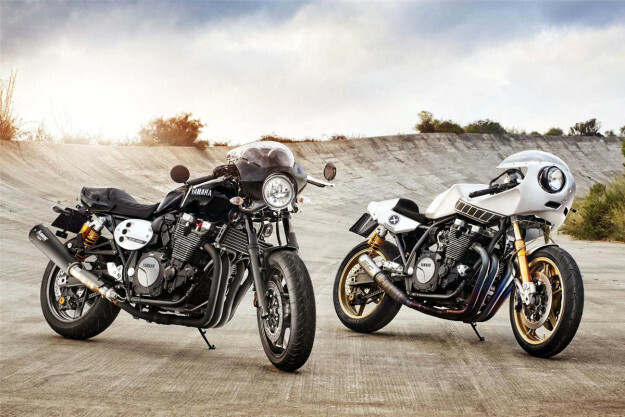 The big news on the custom scene right now is the launch of the revised Yamaha XJR1300. The old bruiser has been revitalized and repackaged into two variants: a standard version with wide bars and a seat big enough for two, and a Racer with clip-ons, a small fairing and front fender, and a solo seat. 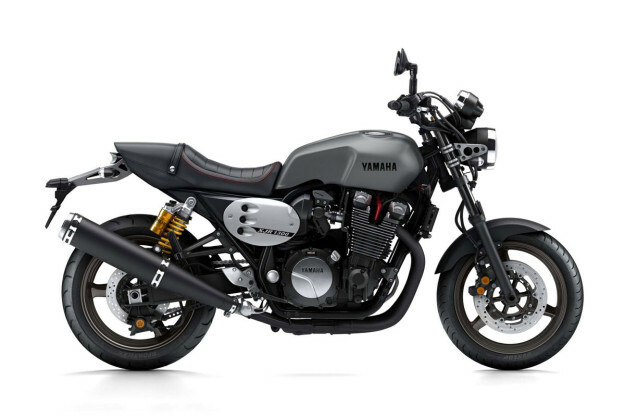 There was never anything wrong with the ‘old’ XJR1300, but there’s plenty to like about the new one (below). The styling has been tidied up, with a slimmer tank that exposes more of the engine. Handling is good, with fully adjustable suspension and Öhlins shocks. Build quality is flawless, and new monobloc front calipers have upgraded the braking to 21st century standards. The man behind this renaissance is Holland-based Yamaha product manager Shun Miyazawa, who is also driving the Yard Built custom project. 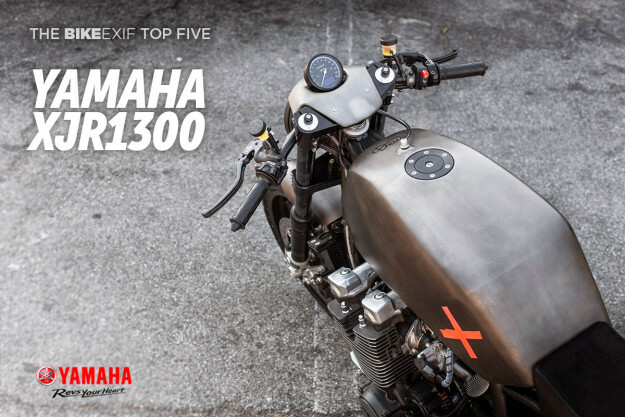 Not surprisingly, the new XJR1300 is easy to modify—so we’ve picked out five of the best recent pro builds to provide a little inspiration. 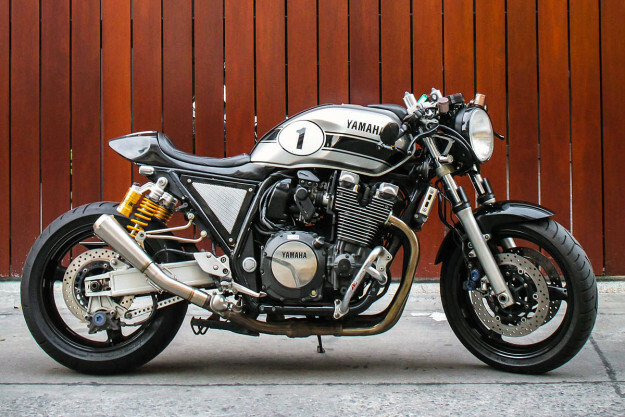 Wrenchmonkees ‘Monkeefist’ Revealed two years ago, this was the first of Yamaha’s ‘Yard Built Specials.’ And it still looks amazing today. The bodywork is standard, but the front end is from a YZF-R1. The spoked wheels are custom-built, with a 19-inch at the front and an 18-inch at the back for an old school look. The stainless steel exhaust system returns to the twin-muffler megaphone look of older XJRs, and helps the bike hit 118 rear wheel horsepower on the dyno. Good news for fans of the Wrenchmonkees’ distinctive style: a collection of custom parts is now available. Keino Cycles ‘Rhapsody in Blue’ A springer front end is not what you’d expect to find on a modern Yamaha. 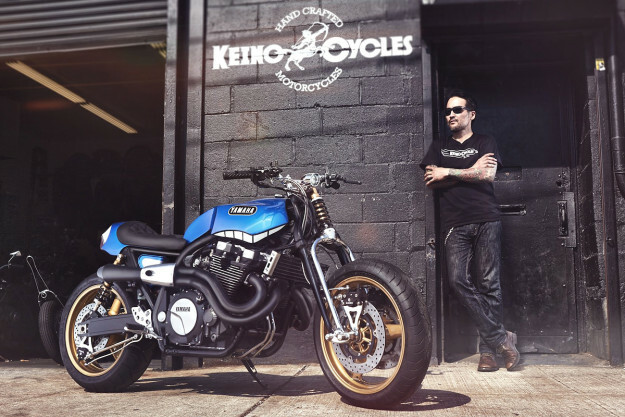 But New York-based master builder Keinosuke ‘Keino’ Sasaki has made it work, and given the XJR1300 a dash of elegant, old school style. Keino’s decision to slim down the tank predated the ‘new’ XJR1300, and the stubby tail unit adds to the feeling of compactness. Brembo brakes, exposed air filters and a sinuous custom exhaust system increase the sporting vibe. It roCKS!bikes ‘Stealth’ Osvaldo Coutinho and Alexandre Santos are two of Portugal’s leading builders. The name they’ve chosen for their company may be odd, but the thinking behind this 2003-spec XJR1300 is common sense. The mods have been designed to save weight, and include Kawasaki ZXR forks, Brembo brake calipers and a new steering stem. The carbs breathe through CNC-machined velocity stacks and the exhaust system is titanium. Motogadget provided the digital dashboard and hand controls, and the finish is low-key rather than flashy, with a matte varnish covering the new paintwork. 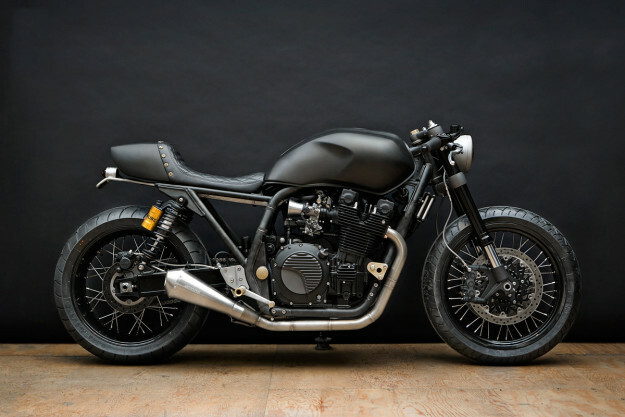 The Sports Custom XJR1300 café racer Most customs from Thailand are small-capacity, go-anywhere machines. But not all: this brutal-looking XJR lives on the streets of Bangkok and comes from a lesser-known builder called The Sports Custom. The tank, seat and tail unit are custom fabricated, lending the bike a aggressive and hunched-forward stance. Clip-ons and rearsets change the riding position to match, and we’re betting those upswept mufflers make the bike easy to hear above the cacophony of Bangkok traffic. 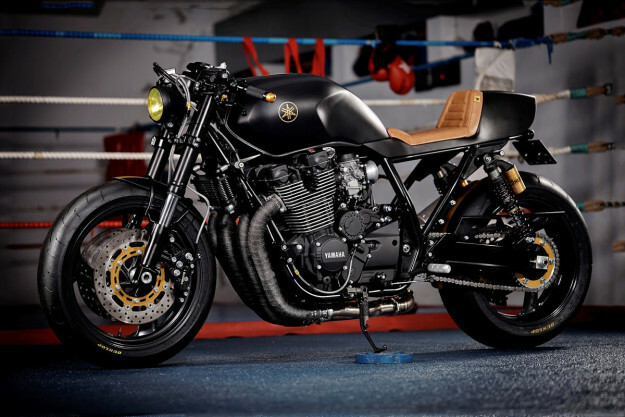 Deus Italy ‘Project X’ Deus has built two eye-catching XJR1300 customs: the endurance themed ‘Eau Rouge’ (bottom shot, right) and the stripped-back ‘Project X’ (above). Here, the goal was to reduce weight and shift the visual focus on to the air-cooled engine—and it works beautifully. The bodywork is all-new, hand-fabricated in aluminum, and the bars are wider than stock. There’s new Öhlins suspension front and back, a Brembo brake system, a titanium exhaust from Leo Vince and super-light Marvic magnesium wheels. 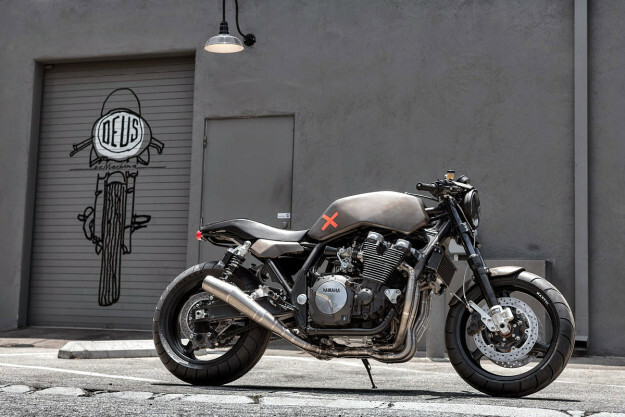 If you like the look, Deus now makes a kit to fit your own XJR1300.